As the acknowledged ‘Queen of Crime’, P. D. James was frequently commissioned by newspapers and magazines to write a special short story for Christmas. Four of the best of these have been drawn from the archives and published here. P. D.
James’ prose illuminates each of these perfectly formed stories, making them ideal reading for the darkest days of the year. While she delights in the secrets that lurk beneath the surface at family gatherings, her Christmas stories also provide tantalizing puzzles to keep the reader guessing. 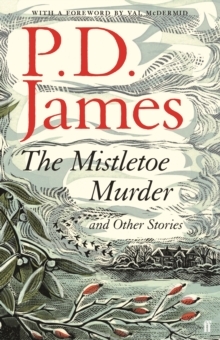 P.
D. James embraces the challenge of the short-story form, and ingeniously weaves the strands of plot, setting, characterisation and surprise to create a satisfying whole within only a few thousand words. From the title story about a strained country-house party on Christmas Eve, to another about an illicit affair that ends in murder, and two cases for James’ poet-detective Adam Dalgliesh, each treats the reader to James’ masterfully atmospheric storytelling, always with the lure of a mystery to be solved.